devices (such as a collection system or a cascade of other BMPS). Vegetation plays several roles in rain garden function. The root systems of plants improve infiltration, and plant growth absorbs some pollutants and increases evapotranspiration. A variety of species can be planted and a landscaping approach is usually used in their design. This makes the rain garden an attractive system that improves the aesthetic values of the surrounding landscape. The rain garden system is new and long-term maintenance requirements are not completely known. They may need to be periodically excavated and rebuilt to avoid soil crusting, clogging, or sedimentation. As with any new system, design knowledge can be expected to grow as more examples are built and studied over time. FIGURE 3.18 Energy circuit model of the universal soil loss equation, showing the erosion rate (A) as a function of a number of factors. agricultural extension agents can advise farmers about control practices that reduce erosion. A number of erosion control practices have evolved including techniques for controlling water flows such as contour planting and terracing and different methods of providing coverage of bare soil such as cover crops, manure from animals, plant mulches, and no-till cropping. These practices must be integrated into the overall farm system and their use is at the discretion of the individual farmer. Organic farming is a comprehensive approach of these and other techniques that has been shown to reduce erosion and improve soil fertility (Mader et al., 2002; Reganold et al., 1987). Some of the practices listed above involve engineering approaches while others might better be thought of as management strategies. Terracing is a good example of a technique that involves some traditional engineering design in terms of spacing, grades, and cross-sections (Ayres, 1936). This technique can be traced back to prehistoric times, and it has evolved independently in many cultures (Donkin, 1979). Windbreaks are analogous systems for controlling wind erosion (Stoeckeler and Williams, 1949), but they are composed of living species (trees) rather than nonliving terraces. An example of a technique that is more management oriented is no-till cropping (Little, 1987; Phillips et al., 1980). This is a particularly interesting technique because it represents a major shift in the approach to agriculture. Traditionally, crop agriculture relied on tillage of the soil (i.e., plowing and disking) to prepare for seeding and especially to control weed growth. This practice exposes the soil to erosion but its benefits, which result in high yield, were viewed as being more significant than the costs. 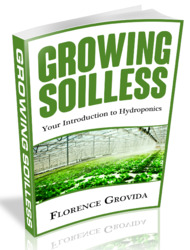 However, the development of selective herbicides after World War II created an alternative method of weed control. A new form of agriculture subsequently evolved substituting herbicide use for tillage, along with the creation of new seeding methods. Rachel Carson (1962) called this chemical plowing in her famous book on pesticide effects entitled The Silent Spring. This new approach has been found to have significantly less erosion than the conventional tillage approach because the soil is not disturbed and a cover of biomass is retained between crops. The litter and plant growth in no-till fields has been called a living mulch because of its role in nutrient conservation (Altieri, 1994). A significant number of farmers have switched to no-till agriculture, though concerns remain about possible environmental impacts of herbicides and possible buildups of insect pests. Much work on erosion control and other aspects of agriculture is done by agricultural engineers whose special function is to apply engineering principles and approaches to farming and grazing. They design machines, study system performance, and must deal with soils, water quality and quantity, and all taxonomic levels of biodiversity, both domestic and pest. Because of these roles and because agricultural systems are really simplified ecosystems (i.e., agroecosystems, see Chapter 9), the discipline of agricultural engineering is related to ecological engineering. The main distinction is in the complexity of ecosystems that are involved. Conventional agroecosystems are clumsy and simple compared with natural ecosystems with low diversity, high runoff and erosion, and the use of manufactured chemicals as fertilizers and toxins in place of evolved ecological relationships. 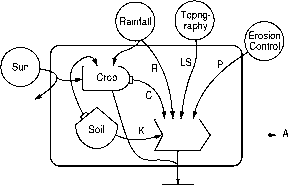 For example, Van Noordwijk (1999) contrasts the complex cycling of nutrients in natural ecosystems with the simple input-output flows of nutrients in agroecosystems. Agricultural systems are completely designed by humans with little positive input from nature and with few or no by-product values. These qualities make agroecosystems appear very different from other, more natural ecosystems, but some basic similarities remain. Study of agroecosystems will continue to be instructive in ecological engineering, as another context of design. Also, each farm is an experiment with a unique mix of ideas from the farmer, which offer insights into the connections that develop between human designer (i.e., farmer) and constructed ecosystem (i.e., farm). Formal relationships between the old discipline of agricultural engineering and the new discipline of ecological engineering should be encouraged to improve the design of constructed ecosystems in general. Since 1945 mainstream agriculture — by which I mean that espoused by agronomy departments in land-grant universities, the United States Department of Agriculture, and major farm organizations — has pursued a model of agriculture based on the industrial metaphor. Its goal has been to join land, labor, and capital in ways that maximize productivity. Farming is regarded not as a way of life but as a business. Like other businesses, it has led to highly specialized farms that grow one or two crops, or raise thousands of animals in automated confinement facilities. Like other businesses, agribusiness invested heavily in technology, became dependent on "inputs" of chemicals, fertilizer, feed, and energy, and went heavily into debt to finance it all. Farmers were advised to plow fence row to fence row, buy out their less-efficient neighbors, substitute monoculture for crop diversity, cut down windbreaks, and replace people with machinery. The results are there for all to see. The ongoing farm crisis of the 1980s suggests that it did not work economically (except for those who learned how to farm the tax code). From dying rural towns across the United States one can infer that it did not work socially. And neither does it work ecologically. There is an interesting movement to use natural ecosystems as a model for the development of new, more sustainable agroecosystems, which is relevant to ecological engineering. For example, a National Research Council (NRC) report states that one of the goals in the development of alternative agricultural systems is a "... more thorough incorporation of natural processes such as nutrient cycles, nitrogen fixation, and pest-predator relationships into the agricultural production process" (NRC, 1989a). In this regard a number of ideas have come from the examination of rural agricultural systems in the tropics. Ewel (1986) and Hart (1980) have discussed mixed species communities that imitate plant succession sequences, and Perfecto et al. (1996) describe similarities between shade coffee plantations and natural forest habitats. In a related example, Gomez-Pompa et al. (1982) and Gliessman (1991) have studied forms of wetland agriculture that have been used since pre-Colombian times in Middle America. Finally, Altieri et al. (1983) and Gliessman (1988) have shown many parallels between traditional agricultural practices in the tropics and natural ecological systems. Relatively less work has been done on using nature as a model for agriculture in the temperate zone. A notable exception is the research of Wes Jackson at the Land Institute in Kansas. Jackson is developing a form of agriculture for the U.S. Great Plains that he calls a domestic prairie (Jackson, 1980). His idea is to create a polyculture (i.e., a multispecies mix) of herbaceous perennial species in a no-till cropping system to replace the present grain-producing monocultures of herbaceous annual species (such as corn or wheat). Jackson's domestic prairie uses the natural prairie ecosystem as a model (Bender, 1995; Jackson, 1999), and he projects that it would have many advantages over the existing grain agriculture: reduced erosion, reduced fossil fuel consumption, reduced pesticide dependency, reduced dependency on commercial fertilizers, and a larger genetic reservoir that would provide benefits such as increased disease resistance. 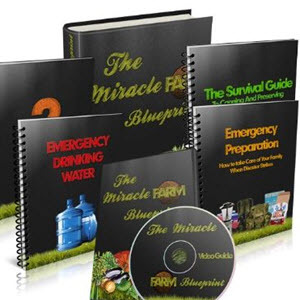 The key to realizing this new form of agriculture is breeding varieties of herbaceous perennial species that will produce high yields of seeds and fruits, as do the existing annual species. Jackson, who is trained as a geneticist, has started this breeding program with focus on promising species in genera of forage grasses (Bromus, Festuca, Sporobolus, Lolium, Agropyron, and Elymus), several of which are important in natural prairies. The existence of some perennial species, especially from the sunflower family, which naturally produce high yields of seeds, provides support for the work. is still underappreciated and poorly known (Coleman, 1985, 1996; Wardle, 2002), but the belowground system is the location from which much of the soil's resistance to erosion comes. There is probably no better engineering design for erosion control than the root system of a prairie, which is one of the most distinctive qualities of Jackson's alternative approach to agriculture. 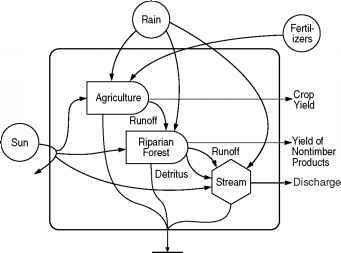 FIGURE 3.20 Energy circuit diagram of the role of the riparian forest as a best management practice in an agricultural landscape. Another ecological system of importance in erosion control is the riparian forest. These are narrow strips of forest growth along streams that drain agricultural watersheds. They act as buffers for the surrounding fields in absorbing nutrients and sediments from runoff waters (Figure 3.20). Although relatively little engineering design is involved with the use of these forests as a BMP, they are becoming more important for controlling erosion and other forms of nonpoint source pollution (Lowrance, 1998; Lowrance and Crow, 2002; Smith and Hellmund, 1993). Riparian forests are particularly significant because of the by-product values they provide including bank stabilization, control of stream temperature through shading, and input of wood debris and leaf litter to streams and wildlife habitat (Gregory et al., 1991). Robles and Kangas (1999) also describe potential economic benefits that can be realized by farmers from the sale of nontimber products harvested from the forests. The creation of this kind of economic payback may be important in making the use of riparian forests more attractive to farmers who must take land out of production in order to implement the BMP. Erosion control in streams is a form of restoration that is rapidly developing for landscapes disturbed by human land use (Riley, 1998). Several examples of designs were mentioned earlier such as the use of root wads as organic riprap. These applications are advancing primarily in the creative work of consulting firms that are hired to restore streams. In this section one particular design strategy, the use of woody debris in stream channels, is highlighted because of its several interesting features. Woody debris, which enters the stream as treefall and branch-fall from the riparian forest, commonly accumulates in dams and deposits by being transported in the current and by becoming lodged in the channel. These debris dams or jams are important to the ecology of stream organisms for providing habitat especially for insect larvae and fishes and as a source of food for decomposers (Bilby and Likens, 1980; Maser and Sedell, 1994; Smock et al., 1989). Perhaps even more significantly, these debris dams influence stream flow and channel form, therefore affecting the entire physical stream system. In terms of this geomorphic role, debris dams belong to the class of structures created by streams to dissipate energy as water drains through the watershed. Other examples are meanders and pool-and-riffle sequences. These structures take the form of organized patterns of materials that require the energy of the stream to be created and maintained. They can be thought of as storages of energy and materials with inputs and outputs, analogous to biological populations or trophic levels in ecology. Their presence in the channel provides feedbacks to the stream to amplify water flow and sediment transport. This conception of channel features is somewhat different from the way geomorphologists and hydrologists normally think about them (i.e., Langbein and Leopold, 1966; Yang, 1971a, 1971b), but it allows such structures to be viewed from a general systems perspective. An example of a mass balance of a debris dam is shown in Figure 3.21 in which the dam itself is depicted as a storage. Beyond the storage of wood, debris dams embody the energy of the stream that creates them. Streb (2001) studied the energetics of debris dams and their effects on channel characteristics in a flume. With physical measurements of current velocity in flumes with and without model debris dams, he was able to quantify their energy dissipation. This energy was used in making the debris dam itself and the associated pools and bars that evolved with it. Thus, the energy dissipation is a measure of the organization of the system.